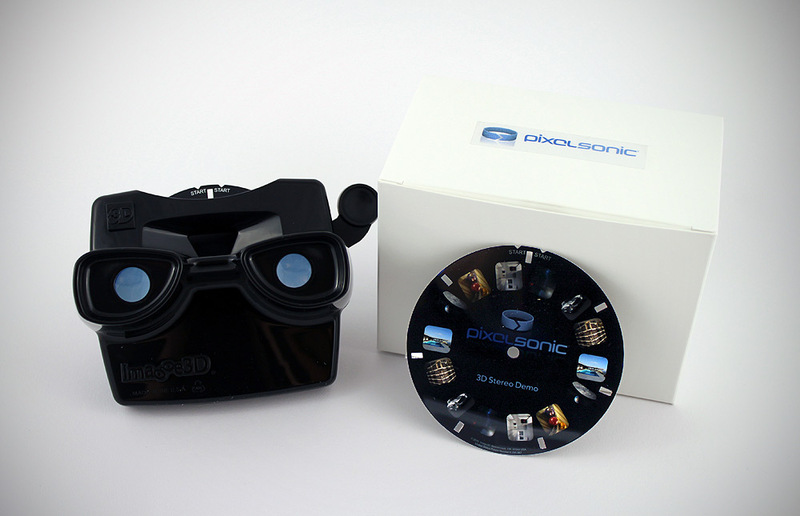 Pixelsonic offers custom Viewmaster sets including a stereo viewer, a reel with 7 stereo images and a box. 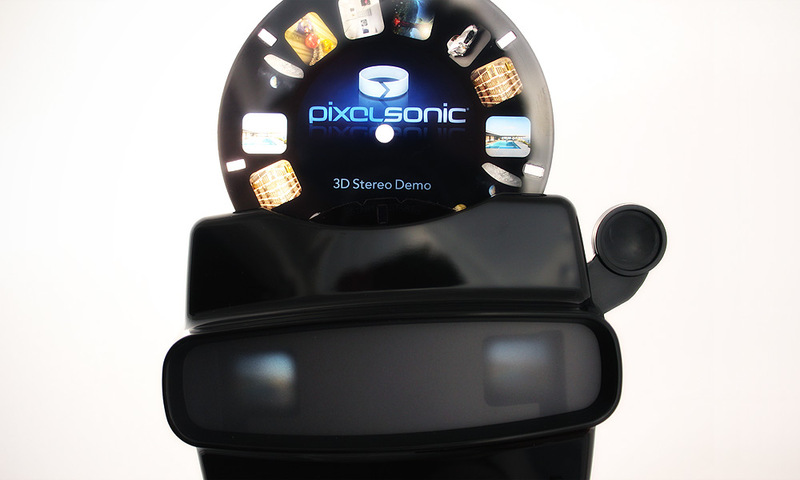 This viewer is promotion package from Pixelsonic. 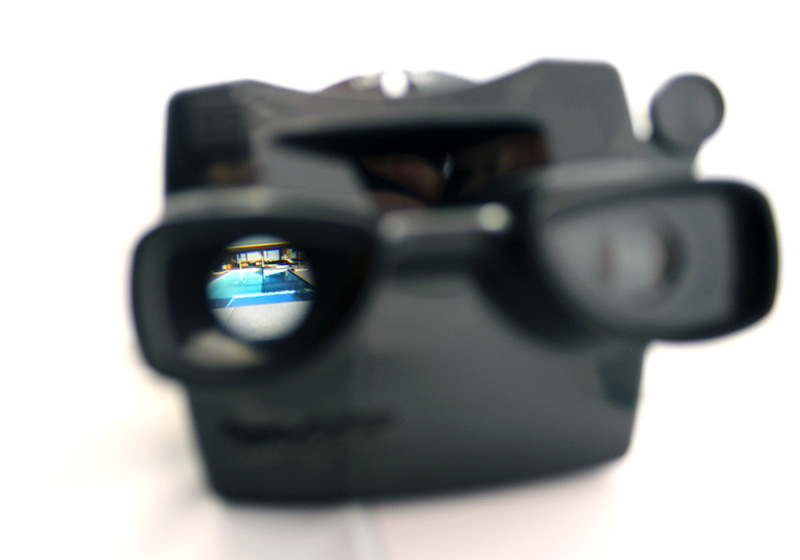 Custom Viewmasters can serve as a gift pack for advertising products or just as special give-away. We can create stereo photos as well as computer generated stereo images. Please ask for an example set and prices. 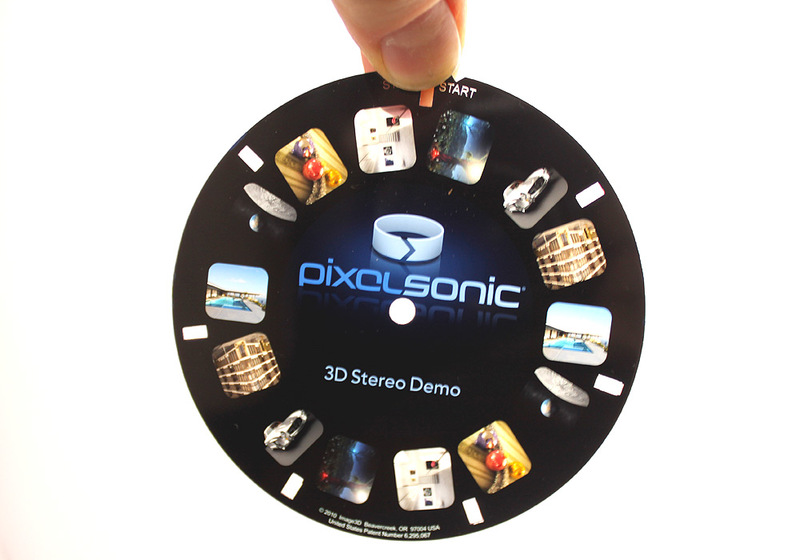 Please ask for your personal custom made Viewmaster Sets.